English television producer, writer and script editor Philip Michael Hinchcliffe was born October 1944 in Dewsbury, Yorkshire. He was educated at Slough Grammar School and Pembroke College, Cambridge, where he studied English literature. After a brief period working for a travel company and then as a teacher. Hinchcliffe began his Television career as a writer and script editor in commercial television after Joining Associated Television, writing episodes for series including the soap Crossroads. He then served as script editor of the sitcom Alexander the Greatest, the children’s adventure series The Jensen Code and the children’s drama series The Kids from 47A. In Spring 1974, at the age of 29, he was approached by the BBC’s head of serials to take over as producer on Doctor Who, his first full production job, initially trailing and then succeeding long-serving producer Barry Letts. Although he trailed Letts on Tom Baker’s first story Robot, he was first credited on The Ark in Space. Throughout his first year he was mostly producing scripts that had been commissioned by the previous production team prior to their departure and it was not until a year later that Hinchcliffe’s full influence came to bear, with Planet of Evil in late 1975 – Tom Baker’s second season in the title role of the Doctor. Hinchcliffe, together with script editor Robert Holmes, ushered in a change in tone for the television series. The series became darker and more adult than previously, with a gothic atmosphere influenced by the horror films produced by Hammer Films. This horror influence is especially evident in serials like Planet of Evil, Pyramids of Mars, The Brain of Morbius, The Hand of Fear and The Talons of Weng-Chiang, all of which have content which directly recalls well known horror novels and movies. Hinchcliffe also aspired to give the programme a more literary feel with a stronger science fiction basis. Hinchcliffe was reluctant to use characters and monsters from the series’ past: the Daleks, the Cybermen and the Sontarans only appeared once during his tenure, and these stories were commissioned by Barry Letts. The Master and the Time Lords returned for one adventure, The Deadly Assassin, at the suggestion of script editor Robert Holmes, but were portrayed very differently from their previous appearances. The character of Brigadier Lethbridge-Stewart and the United Nations Intelligence Taskforce were written out of the series. Hinchcliffe produced more episodes to achieve over 10 million viewers than any other producer in the series’ history; only during the “Dalekmania” spell of the mid-Sixties had the series gained a comparable reception from the public. However, the BBC received several complaints from Mary Whitehouse of the National Viewers’ and Listeners’ Association that the series was unduly frightening for children and could traumatise them. The NVALA had been critical of the series before but the complaints reached their height in the Hinchcliffe period. Her strongest criticism was for The Deadly Assassin, where an attempt is made to drown the Doctor at the end of an episode. While the BBC publicly defended the programme, after three seasons Hinchcliffe was moved onto the adult police thriller series Target in 1977, and his replacement Graham Williams, who had created Target, was specifically instructed to lighten the tone of the storylines and reduce violence. Screenonline states that this resulted in “the start of an erratic decline in both popularity and quality” for Doctor Who which led to its eventual cancellation. Hinchcliffe also wrote several novelisations of Doctor Who serials for Target Books, adapting The Keys of Marinus, The Seeds of Doom, and The Masque of Mandragora. After Doctor Who Hinchcliffe worked on numerous series, single dramas and films including Target, Private Schulz, The Charmer, Take Me Home, Friday on My Mind and many others. He finished his career as an executive producer for Scottish Television and stepped down from the producer role in 1995, after working on the feature films An Awfully Big Adventure starring Hugh Grant and Total Eclipse starring Leonardo DiCaprio, but was engaged as an Executive Producer by Scottish Television from 1998 to 2001, overseeing series including Taggart, John Hannah episodes of Rebus, and one-off dramas including The Last Musketeer with Robson Green and Take Me in 2001. Hinchcliffe has made numerous appearances on DVD releases of Doctor Who serials made under his producership. His most notable appearance is in Serial Thrillers, a documentary included in the Pyramids of Mars DVD release, focusing on his three-year reign as producer in some depth, examining what made the show so successful during that period. Most recently, an interview titled “Life After Who” was included on The Android Invasion DVD release, where daughter Celina Hinchcliffe takes her father on a trip down memory lane to recall his distinguished career in British television and film after his work on Doctor Who. With the death of his immediate predecessor Barry Letts in October 2009, Hinchcliffe and Derrick Sherwin are the only producers of the classic series of Doctor Who still alive. World Habitat Day is observed worldwide on the first Monday of October. It was officially designated by the United Nations to reflect on the state of our towns and cities and the basic right of all to adequate shelter. It is also intended to remind the world of its collective responsibility for the future of human habitat. It was first celebrated in 1986 And Habitat Scroll of Honour awards have been given out by the United Nations Human Settlements Programme (UNHSP) since 1989. The award acknowledges initiatives that make remarkable contributions to fields related to human habitats. The United Nations Human Settlements Programme (UN–Habitat) is the United Nations agency for human settlements and sustainable urban development. It was established in 1978 as an outcome of the First UN Conference on Human Settlements and Sustainable Urban Development (Habitat I) held in Vancouver, Canada in 1976. UN-Habitat maintains its headquarters at the United Nations Office at Nairobi, Kenya. It is mandated by the United Nations General Assembly to promote socially and environmentally sustainable towns and cities with the goal of providing adequate shelter for all. It is a member of the United Nations Development Group. The mandate of UN-Habitat derives from the Habitat Agenda, adopted by the United Nations Conference on Human Settlements (Habitat II) in Istanbul, Turkey, in 1996. The twin goals of the Habitat Agenda are adequate shelter for all and the development of sustainable human settlements in an urbanizing world. Since October 2010 the Executive Director is Joan Clos, former mayor of Barcelona and Minister of Industry, Tourism and Trade of the Government of Spain. The concept of sustainable development has been—and still is—subject to criticism. What, exactly, is to be sustained in sustainable development? It has been argued that there is no such thing as a sustainable use of a non-renewable resource, since any positive rate of exploitation will eventually lead to the exhaustion of Earth’s finite stock; this perspective renders the Industrial Revolution as a whole unsustainable. It has also been argued that the meaning of the concept has opportunistically been stretched from ‘conservation management’ to ‘economic development’. Urban planning is a technical and political process concerned with the development and use of land, planning permission, protection and use of the environment, public welfare, and the design of the urban environment, including air, water, and the infrastructure passing into and out of urban areas, such as transportation, communications, and distribution networks. Urban planning is also referred to as urban and regional planning, regional planning, town planning, city planning, rural planning, urban development or some combination in various areas worldwide. It takes many forms and it can share perspectives and practices with urban design. Urban planning guides orderly development in urban, suburban and rural areas. Although predominantly concerned with the planning of settlements and communities, urban planning is also responsible for the planning and development of water use and resources, rural and agricultural land, parks and conserving areas of natural environmental significance. Practitioners of urban planning are concerned with research and analysis, strategic thinking, architecture, urban design, public consultation, policy recommendations, implementation and management. Urban planners work with the cognate fields of architecture, landscape architecture, civil engineering, and public administration to achieve strategic, policy and sustainability goals. Early urban planners were often members of these cognate fields. Today urban planning is a separate, independent professional discipline. The discipline is the broader category that includes different sub-fields such as land-use planning, zoning, economic development, environmental planning, and transportation planning. The International Day of Older Persons is observed on October 1 each year. It was created in On December 14, 1990 when the United Nations General Assembly voted to establish October 1 as the International Day of Older Persons as recorded in Resolution 45/106. The holiday was observed for the first time on October 1, 1991. The aim of the International day of older persons is to educate the public and raise awareness concerning the issues which affect elderly people, such as health issues, Alzheimers, senescence. It is also a day to appreciate the contributions that older people have made and continue to make to society. Senescence or biological aging is the gradual deterioration of functional characteristics. The word senescence can refer either to cellular senescence or to senescence of the whole organism. Organismal senescence involves an increase in death rates and/or a decrease in fecundity with increasing age, at least in the later part of an organism’s life cycle. Senescence is the inevitable fate of all multicellular organisms with germ-soma separation, but it can be delayed. 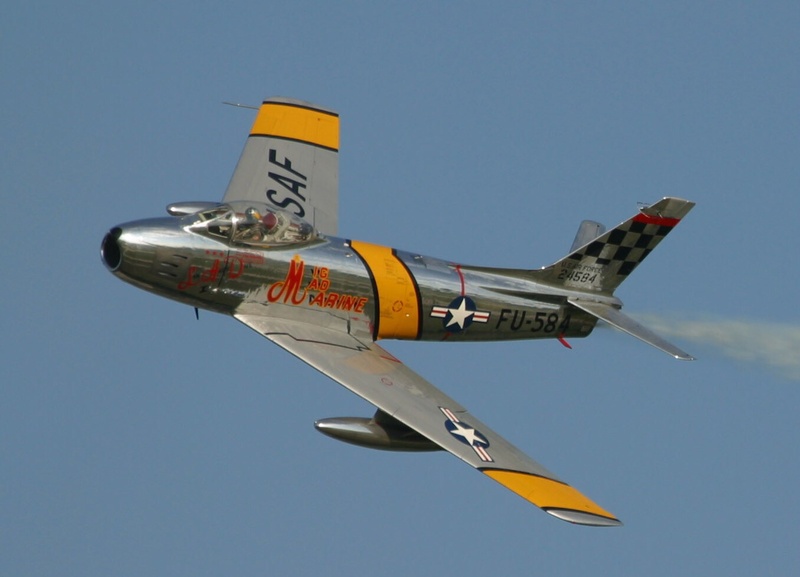 The discovery, in 1934, that calorie restriction can extend lifespan by 50% in rats, and the existence of species having negligible senescence and potentially immortal species such as Hydra, have motivated research into delaying senescence and thus age-related diseases. Rare human mutations can cause accelerated aging diseases. Environmental factors may also affect aging, for example, overexposure to ultraviolet radiation accelerates skin aging. Different parts of the body may age at different rates. Two organisms of the same species can also age at different rates, making biological aging and chronological aging distinct concepts. Another purpose of the International Day of Older persons is to raise awareness concerning Elder abuse (also called “elder mistreatment”, “senior abuse”, “abuse in later life”, “abuse of older adults”, “abuse of older women”, and “abuse of older men”) This refers to a “a single, or repeated act, or lack of appropriate action, occurring within any relationship where there is an expectation of trust, which causes harm or distress to an older person.”This definition has been adopted by the World Health Organization (WHO) from a definition put forward by Action on Elder Abuse in the UK. Laws protecting the elderly from abuse are similar to and related to, laws protecting dependent adults from abuse. It includes harms by people the older person knows, or has a relationship with, such as a spouse, partner, or family member; a friend or neighbor; or people that the older person relies on for services. Many forms of elder abuse are recognized as types of domestic violence or family violence since they are committed by family members. Paid caregivers have also been known to prey on their elderly patients. While a variety of circumstances are considered elder abuse, it does not include general criminal activity against older persons, such as home break-ins, “muggings” in the street, or “distraction burglary”, where a stranger distracts an older person at the doorstep while another person enters the property to steal. The abuse of elders by caregivers is a worldwide issue. In 2002, WHO brought international attention to the issue of elder abuse. Many, government agencies and community professional groups, worldwide, specify elder abuse as a social problem. In 2006 the International Network for Prevention of Elder Abuse (INPEA) designated June 15 as World Elder Abuse Awareness Day (WEAAD), and an increasing number of events are held across the globe on this day to raise awareness of elder abuse and highlight ways to challenge such abuse. Although elders who have dementia or mental illness commonly make false accusations of theft and other forms of abuse by caregivers or family members, all reports of abuse must be investigated. The International Day of Older Persons is similar to National Grandparents Day in the United States and Canada as well as Double Ninth Festival in China and Respect for the Aged Day in Japan. The observance is a focus of ageing organizations and the United Nations Programme on Ageing. Best known for writing exciting and technically detailed espionage and military thrillers set during and after the Cold War, the American Novellist and Historian Thomas Leo “Tom” Clancy, Jr. Sadly died on October 1, 2013, of an undisclosed illness. He Was born April 12, 1947. 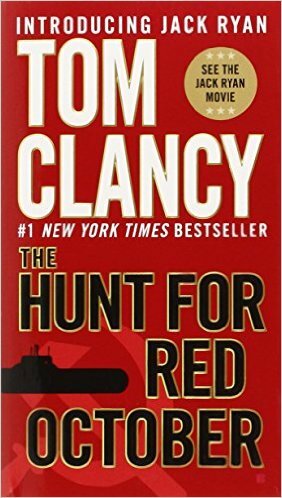 Clancy’s literary career began in 1982 when he started writing The Hunt for Red October which became immensely popular and was adapted for film starring Sean Connery. The novels Patriot Games (1987), Clear and Present Danger (1989), and The Sum of All Fears (1991), have been turned into commercially successful films with actors Alec Baldwin, Harrison Ford, Chris Pine and Ben Affleck as Clancy’s most famous fictional character Jack Ryan, while his second most famous character, John Clark, has been played by actors Willem Dafoe and Liev Schreiber. All but two of Clancy’s solely written novels feature Jack Ryan or John Clark,These being The Cold War epic Red Storm Rising and The first NetForce novel (titled Net Force and published in 1999 which was adapted as a 1999 TV movie starring Scott Bakula and Joanna Going. The first Op-Center novel was released to coincide with a 1995 NBC television mini-series of the same name (Tom Clancy’s Op-Center published in 1995) starring Harry Hamlin. With the release of The Teeth of the Tiger (2003), Clancy introduced Jack Ryan’s son and two nephews as main characters; these characters continued in his last four novels, Dead or Alive (2010), Locked On (2011), Threat Vector (2012), and Command Authority (2013). 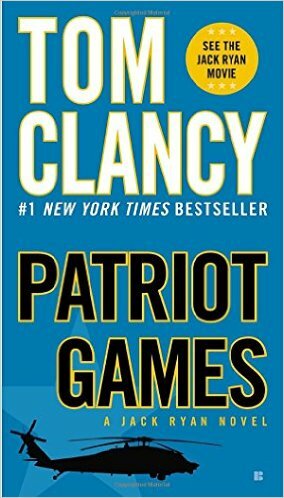 Clancy also wrote several nonfiction books about various branches of the U.S. Armed Forces And branded several lines of books and video games with his name that are written by other authors, following premises or storylines generally in keeping with Clancy’s works. His other interests included sport and In 1993, Clancy joined a group of investors that included Peter Angelos and bought the Baltimore Orioles from Eli Jacobs and also reached an agreement to purchase the Minnesota Vikings however he abandoned the deal due to financial commitments elsewhere. French video game manufacturer Ubisoft has also used Clancy’s name in conjunction with video games and related products such as movies and books. So far Seventeen of his novels have been bestsellers and more than 100 million copies of his books are in print. His name was also used on movie scripts written by ghost writers, non-fiction books on military subjects and video games. He was a part-owner of the Baltimore Orioles and Vice Chairman of their Community Activities and Public Affairs committees and his novels remain popular. Senegalese singer-songwriter, actor, and politician Youssou N’Dour, was born 1 October 1959. In 2004, Rolling Stone described him as, “perhaps the most famous singer alive” in Senegal and much of Africa. Since April 2012, he has been Senegal’s Minister of Tourism and Culture.N’Dour helped to develop a style of popular Senegalese music known in the Serer languageas mbalax, which derives from the conservative Serer music tradition of “Njuup”. He is the subject of the award-winning films Return to Goree directed Pierre-Yves Borgeaud and Youssou N’Dour. He started his music career in 1979, when he formed his own ensemble, the Étoile de Dakar. His early work with the group was in the Latin style popular all over Africa during that time. In the 1980s he developed a unique sound with his ultimate group, Super Étoile de Dakar featuring Jimi Mbaye on guitar, bassistHabib Faye, and Tama (talking drum) player Assane Thiam. By 1991 he had opened his own recording studio, Xippi, and, by 1995, his own record label, Jololi. N’Dour is one of the most celebrated African musicians in history. His mix of traditional Senegalese mbalax with eclectic influences ranging from Cuban rumba to hip hop, jazz and soul won him an international fan base of millions. In the West, N’Dour collaborated withPeter Gabriel, Axelle Red, Sting, Alan Stivell, Bran Van 3000, Neneh Cherry, Wyclef Jean, Paul Simon, Bruce Springsteen,Tracy Chapman, Branford Marsalis, Ryuichi Sakamoto, Dido and others. The New York Times described his voice as an “arresting tenor, a supple weapon deployed with prophetic authority”. N’Dour’s work absorbed the entire Senegalese musical spectrum, often filtered through the lens of genre-defying rock or pop music from outside Senegalese culture.In July 1993, an African opera composed by N’Dour premiered at the Opéra Garnier for the French Festival Paris quartier d’été.He wrote and performed the official anthem of the 1998 FIFA World Cup with Axelle Red “La Cour des Grands”. Folk Roots magazine described him as the African Artist of the Century. He toured internationally for thirty years. He won his first American Grammy Award (best contemporary world music album) for his CD Egypt in 2005. He is the proprietor of L’Observateur, one of the widest-circulation newspapers in Senegal, the radio station RFM (Radio Future Medias) and the TV channel TFM.In 2006, N’Dour played the role of the African-British abolitionist Olaudah Equiano in the movie Amazing Grace, which chronicled the efforts of William Wilberforce to end slavery in the British Empire. In 2008, N’Dour offered one of his compositions, Bébé, for the French singer Cynthia Brown. In 2011, N’Dour was awarded an honorary doctorate in Music from Yale University. In 2013, N’Dour won a share of Sweden’s $150,000 Polar music prize for promoting understanding between faiths as well as for his music. In 16 October 2000 N’Dour was nominated Goodwill Ambassador of the Food and Agriculture Organization of the United Nations (FAO) . In Senegal, N’Dour became a powerful cultural icon, actively involved in social issues. In 1985, he organized a concert for the release ofNelson Mandela. He was a featured performer in the 1988 worldwide Amnesty International Human Rights Now! Tour collaborating withLou Reed on a version of the Peter Gabriel song Biko which was produced by Richard James Burgess and featured on the Amnesty International benefit album The Secret Policeman’s Third Ball. He worked with the United Nations and UNICEF, and he started Project Joko to open internet cafés in Africa and to connect Senegalese communities around the world. He performed in three of the Live 8concerts (in Live 8 concert, London, Live 8 concert, Paris and at the Live 8 concert, Eden Project in Cornwall) on 2 July 2005, with Dido. He covered John Lennon’s “Jealous Guy” for the 2007 CD Instant Karma: The Amnesty International Campaign to Save Darfur. He appeared in a joint Spain-Senegal ad campaign to inform the African public about the dramatic consequences of illegal immigration. N’Dour participated in the Stock Exchange of Visions project in 2007. In 2007 he became a council member of the World Future Council.In 2008, he joined the Fondation Chirac’s honour committee. The same year, Youssou N’Dour’s microfinance organization named Birima (Birima is also a song’s title) was launched with the collaboration of Benetton United Colors.In 2009, he released his song “Wake Up (It’s Africa Calling)” under a Creative Commons license to help IntraHealth International in theirIntraHealth Open campaign to bring open source health applications to Africa. The song was also remixed by a variety of artists including Nas, Peter Buck of R.E.M, and Duncan Sheik to help raise money for the campaign.